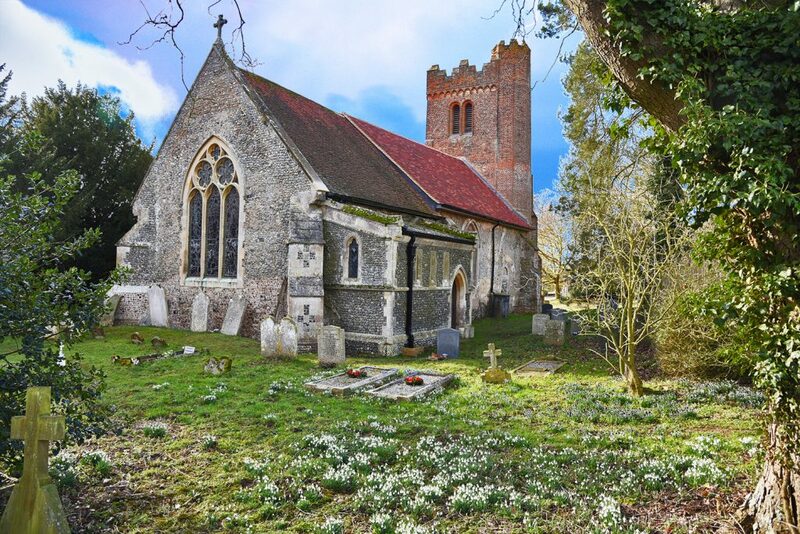 One of the first mentions of Liston village is in the will of Ethelflaed who was the daughter of Ealdorman AElfgar of Essex and second wife of King Edmund. Her sister was married to Ealdorman Brynoth of Battle of Maldon fame. When King Edmund died she married an Aethelstan, probably Aethelstan Rota but also possibly Aethelstan Half King Ealdorman of East Anglia. Liston was left to AEthelmaer, a kinsman on condition that he should be a protector of a minster at Stoke By Nayland which was associated with her family. Three of King Edmunds sisters married into the family of continental rulers, Eadgyth married Otto I, Holy Roman Emperor, Eadhild married Hugh the Great and Eadgifu who married King Charles III (the simple) of France a descendent of Charlemagne. King Edmund was successful in securing Northern England and granted Malcom I of Scotland Strathclyde in exchange for a military treaty. At the time of the domesday Liston was quite large consisting of 25 households, it had two manors which shared a Mill. One manor was granted to Geoffrey Talbot held from Hugh De Gourney. The second manor was held by Ilbod brother of Arnulf of Hesdin. Arnulf was a famous knight at the time having been granted land after the conquest. Ilbod was tenant in chief of three of his lands the fourth had King William as Tenant in Chief. Geoffrey Talbot only held the one Lordship, his tenant in chief was Hugh of Gournay who was also tenant in chief of Fordham and Ardleigh. Hugh De Gournay (d 1093 on crusade) had a son Gerard whose eldest child was a daughter Amicia, who married Richard Talbot father of Geoffrey Talbot of Yorkshire. This gives the possibility that when Gerard died, One Liston manor could have passed to the Talbots. Geoffrey Talbot died in 1129 leaving a son Geoffrey by his wife Agnes. There is some dispute on who Agnes is, David Crouch says she was probably a member of the De Lacy family and The Complete Peerage states she was probably the daughter of Walter De Lacy. Katherine Keates-Rohan states that she was the daughter of Helto-Dapifer. The younger Geoffrey Talbot named Gilbert De Lacy as his relative and it could have been Sybil. The younger Talbot sided with Matilda and was captured by King Stephen. Little is known about Ilbod but it is known that his brother Arnulf married EmmeLine widow of Walter De Lacy they had a son Aroul De Hesdin who died in 1138, hanged on the orders of King Stephen for supporting the Empress Matilda, a daughter Mathilde and a daughter Adeline. Arnulf senior died in 1091 at Antioch during the 1st crusade. If Agnes was the daughter of Walter De Lacy then Arnulf De Hesdin would have been her stepfather and his son would have been the brother in law of Geoffrey Talbot junior. On the hanging of Arnoulfs son by King Stephen his lands could have passed to Geoffrey Talbot via his wife Agnes. This Geoffrey was also a strong supporter of the Empress Matilda and died around 1140 during the Anarchy. If Ilbod, Arnulfs brother did not have issue then his lands would also have passed to Geoffrey Talbot. This would be an explanation of how the two manors of Liston became one. The problem is Avicia who held Liston in 1185 had a father named Robert not Geoffrey so Geoffrey may have had a brother.